The Character Customisation on GetAmped2 allows the player's imagination go wild. This is because players have very few limits when it comes to customising their characters. Players will have a large array of tools to use on their character, they can customise the character shape in any way they like by adjusting the sizes of the character shapes, almost any colour is available for players to use on any part of the body and many more customisation options. 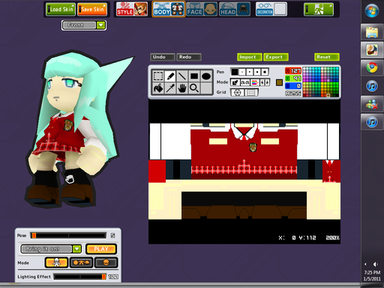 The customisation is to a point where players can customise their characters to resemble anime/game characters of their choice.